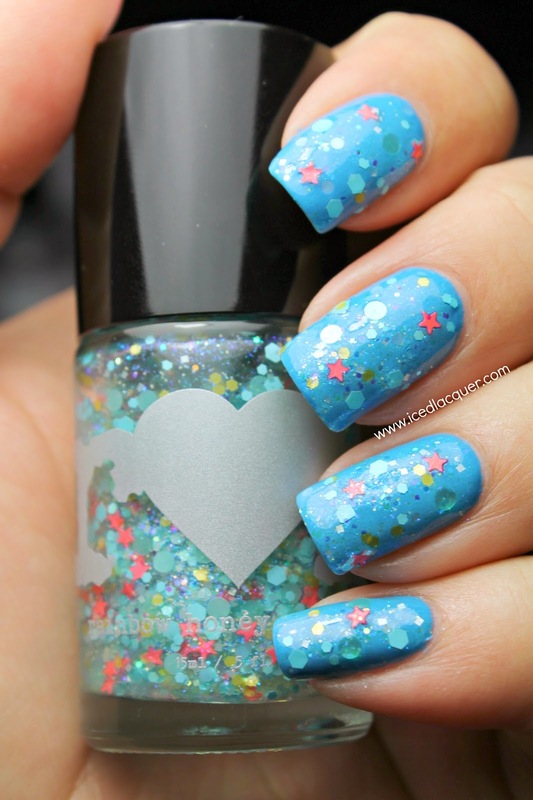 "Sea Star" - This clear based glitter topper features a sea of blue shimmer filled with aqua hexes, yellow hexes, pale blue dots, bright coral stars, white satin squares, and tiny iridescent hexes. 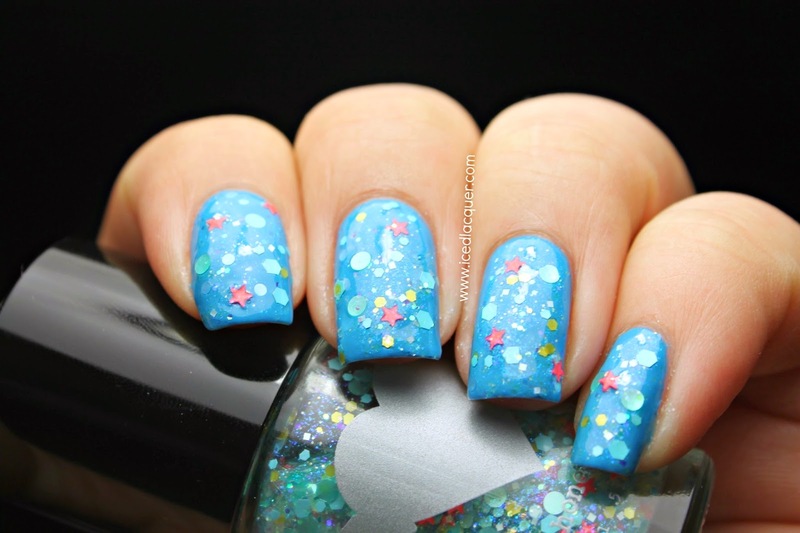 For this look I chose to layer one thick coat on top of China Glaze "Sunday Funday" to continue the ocean-y look. I topped this with one coat of top coat. 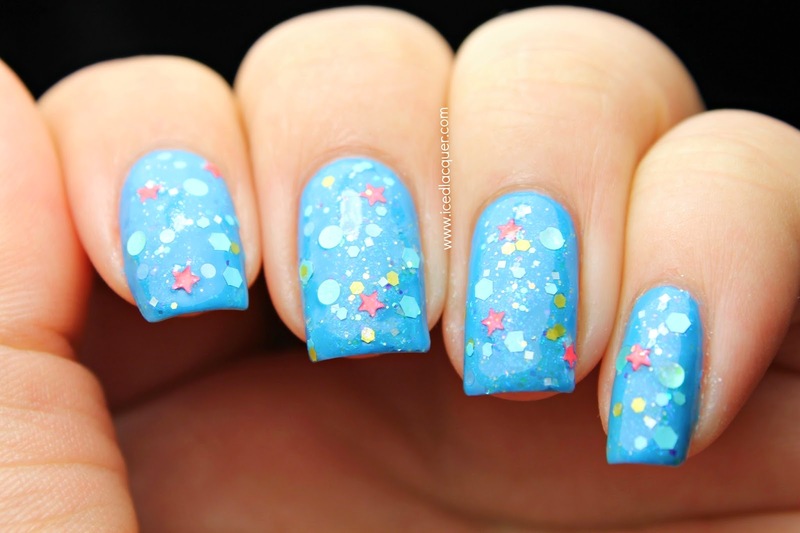 Not only are the coral stars just perfect paired with blue, but they're small stars! You won't have to worry about the points sticking up off the nail and getting caught on everything. 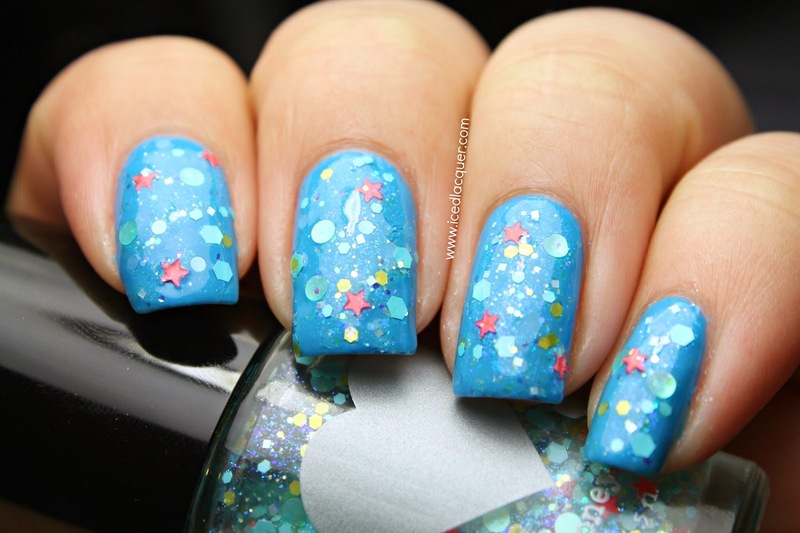 Between the color mix and all the shimmer, this polish does a brilliant job of reminding me of the ocean. You can find this June limited edition polish on the Rainbow Honey website for $10. What do you think of this one? Will you be snagging it before it disappears? Thanks for reading! Thank you! I'm the same way, if they're the large ones they're usually just more hassle than they're worth! It's def a cute polish but still pretty picky in palette for undies and for ladies with curved nails - the stars still need two coats! Man they look fab fab FAB on you though! Great combo, I'll have to try it!